Confidence. Quality. Value. We are working for your peace of mind. We provide a free, in-home estimate to homeowners for both our window and door installations. Ask us about our warranties on windows, doors and installation. Save money with energy-efficient Regency windows from Gentek. Ener-Tight Windows & Doors are your experts in Ottawa for the sale and installation of custom windows and doors for your home. We provide durable and energy-efficient options to help you save money and get the most out of your investment. 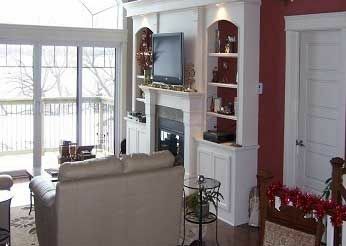 We also offer home renovation services including, but not limited to, trim work, kitchens, and basements. As a family-owned and operated company, we’ve been serving the Ottawa-Carleton area for over 20 years, and our team is skilled at providing installations to meet your specifications. Whether you are wanting a bold and colourful front door installed, or you need to update old windows to ones that are more modern and energy-efficient, we’ve got lots to choose from. Our doors are made custom to suit your needs whether it’s opening up onto a beautiful patio area, or made out of extra sturdy materials with no glass for upholding security. 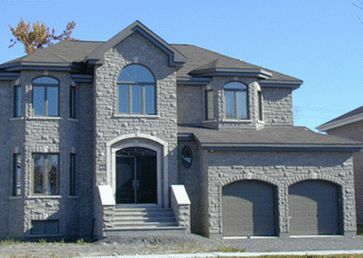 We provide and install vinyl windows in many different styles from traditional to unique in both size and shape. We are proud to be installers of Gentek and Mitten products, each with their own unique styles for windows and doors that are top quality – all of our products are also Energy Star approved! I am writing this letter to give my highest recommendation for Ener-Tight Windows and Doors. We needed to replace every window in our 25-year-old house, as we still had all of the original windows. Almost all of the seals were broken and a lot of the wood on the exterior had rotted. We had received quotes from other companies before deciding on this company and realized that we could get more for our money with Ener-Tight. We are extremely happy that we went with this company. Ener-Tight was highly recommended to us by friends in our neighbourhood who had work done by them approximately ten years ago. They told us that the work was done in a very professional manner and the company has continued to look after them very well over the years. I was very impressed with every aspect of the process of acquiring new windows, from the time I first met the owner, Mr. Greg Moreland, until the work was completed. Mr. Moreland is an experienced and honest businessman who genuinely wants his customers to have the products that best meet their needs and are best suited to their home. 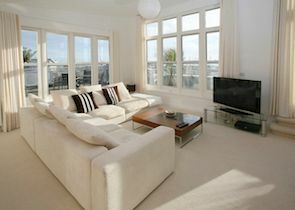 The workmen were very hard-working, professional, respectful and friendly and went above and beyond my expectations. They are experts in their field and did an outstanding job. They even did a few quick fix-it jobs in our house (without charging me for them) that had nothing to do with the windows! In summary, I would highly recommend Ener-Tight Windows and Doors. They are professional and trustworthy and do an excellent job. I just wanted to let you know that I am very happy with yesterday's windows installation. You have a great team working for you – professional, friendly, considerate. They were wonderful and I just wanted to make sure you knew. Give us a call today if you have questions about the products and services we offer or if you’d like more information.